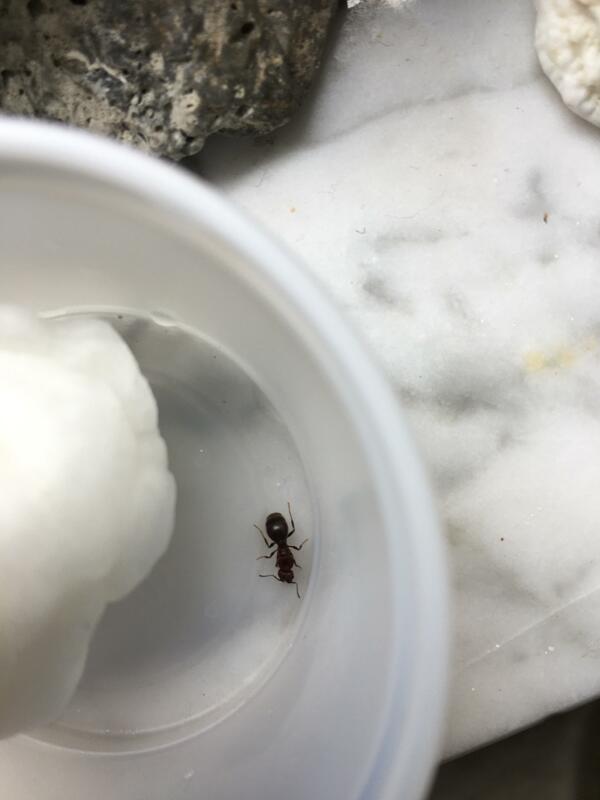 Possible Solenopsis. If you do try video, use more light. We should be able to ID them then. Can you explain how I do that pls? The one without wings looks like pheidole sp. To me. Edit: thinking could be Camonotus after comparing the ants in another post and this quote. Camponotus americanus. C. pennsylvanicus can sometimes have orange legs like that. To upload to youtube, using your phone... uh... first you need an account and log into it with the youtube app on your phone. Towards the right you will see a persons silhouette, click that and it should say account. You will then see a mostly red camera circle to the right. Click that and you can select a video to upload, or use your camera to record a new video cor upload. From there just follow on screen instructions and will till uploaded. Once you have that you can click the share button and get a direct link for the youtube video. From desktop... uh.. log in and there is an upload (text) button at the top right. A front head piece for mandibles and antennae. More light, and a "clear" picture, not nessesary close, but a clear picture. Camponotus have only one petiole. Easy. Point a light at her. Then move about 5-6 inches away from her. Then ZOOM in don't move the phone closer. It will be more in focus.